Starting today, shoppers in San Mateo County will have to remember to bring their own bags when they go to the supermarket. Dozens of grocery stores in 12 cities will no longer give out plastic bags when you shop. The new law is to urge people to bring re-usable bags. County officials believe it's better for the environment. If shoppers don't bring their own bag, they will be charged 10 cents for each paper one. Some shoppers tell us they've seen the plastic ones blowing around in the wind so, they don't mind making a few changes. 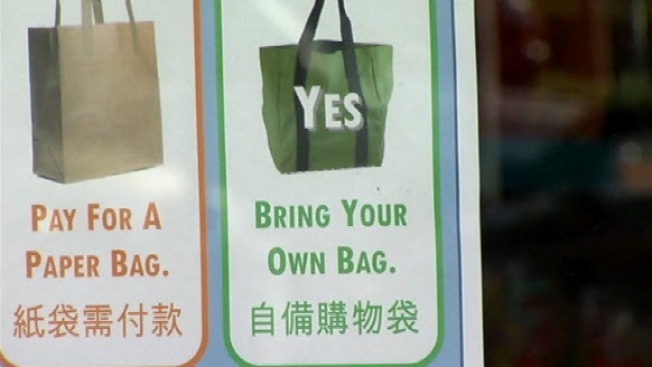 Several other cities in San Mateo County will stop allowing plastic bags this summer. The rule applies to grocery stores and convenience stores, but not restaurants. Plastic can still be used for produce, meat and prescriptions.